The good weather brings out the madness in us. Fact. 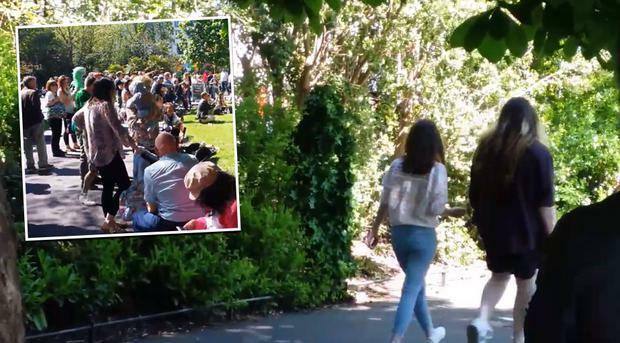 Stephen's Green was jam-packed with people soaking up a few rays of inner city sun and one joker kept everyone entertained by dressing up as a bush. He or she stood by the side of the pavement and harassed passers-by who, unsurprisingly, got a bit of a fright.